NEA Click & Save, the online discount buying service for NEA members, highlights select retailers and merchants each month. Check out these featured “Buy-lights” for May! 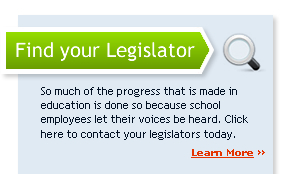 Join the 105,000 NEA members already registered for NEA Click & Save. Go to www.neamb.com/clickandsave today! Save Up to 15% on Comfort for You & Your Family! Receive up to 15% off the world's largest selection of premium comfort footwear. Whether you need shoes for work, play, or a night on the town, The Walking Company has the perfect fit for you! Visit www.neamb.com to learn more. Save Up to $35 Off a Weekly/Weekend Airport Rental! NEA members save $5 per day, up to $35 off a weekly or weekend rental of an economy or higher class car at participating Hertz Airport locations in the U.S., Canada & Puerto Rico. Go to www.hertz.com/neamb, call your travel agent, or call Hertz directly at 1-800-654-2210 to make your reservation. Be sure to use CDP #50655 to get your NEA discount, and PC# 142564 to get your special savings! Offer is valid for pickups through May 31, 2010. Terms and Conditions: Advance reservations are required. Subject to availability, this offer is redeemable at participating Hertz airport locations in the U.S., Canada and Puerto Rico. This offer has no cash value, may not be used with Pre-pay Rates, Tour Rates or Insurance Replacement Rates. No other CDP#, certificate, voucher, offer or promotion applies. Hertz age, driver, credit and qualified weekend and weekly rate restrictions for the renting location apply. Taxes, tax reimbursement, age differential charges, fees and optional service charges, such as refueling, are not included. Discounts apply to time and mileage charges only. Discounts in local currency on redemption. Offer valid for vehicle pickups through 05/31/10.